The Ramada Creston, conference facility and on-site restaurant has a great location at the junction of Highways 3 and 3A. Free continental breakfast with overnight stays includes self-serve waffles, bagels, muffins, cereals, yogurt, fresh fruit, coffee and tea. The property offers 65 rooms. Each room is fitted to a high quality and includes 42" flat screen TV, microwave, refrigerator, pillow-top mattress, iron and board, coffee maker and hair dryer. The Ramada Creston also offers a business centre, 24-hour gym, complimentary high speed internet, self-serve laundry facilities and 1,300 square foot meeting room. Smoke and pet free property. Dinner menu includes items such as Fish & Chips, Homestyle Slow Roasted Turkey, Grilled Liver & Onions. The Creston Ramada offers a well-appointed space with integrated PA system, integrated screen, LCD projector, microphones, rectangular and round tables and a selection of linens. Whether you have planned a small corporate meeting or evening dinner, a variety of room setups are available. Guest rooms can be group blocked by contacting the hotel. The beautiful Creston Valley stretches from the town of Creston, north along the Kootenay Lake East Shore to the village of Crawford Bay and south to the US / Canada border. Tucked into the sunny bench between the Purcell and Selkirk mountain ranges, the Creston Valley is the perfect retreat for outdoor adventurers, foodies, creative souls, lovers of the land and anyone in need of a wholesome home-away-from-home experience. The town of Creston is included in the popular International Selkirk Loop suggested driving tour. Nature, of course, pays no attention to national boundaries, so when you follow the circle route, you'll stop twice for customs and immigration. 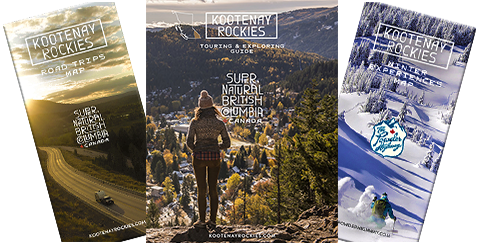 The tour explores the Selkirk Mountains from the beautiful Pend Oreille Valley in Washington state, north to the magnificent Kootenay Lake in British Columbia and south through the Idaho Panhandle. The Ramada Creston welcomes you. A wonderful selection of rooms. The property offers 65 rooms. Enjoy the convenient 24-hour gym. Welcome to the Creston Ramada.